I feel like you need something that screams bridge or something. Perhaps four clear/smokey clear cheese wedges making a point? Shades_Corvid wrote: I feel like you need something that screams bridge or something. Perhaps four clear/smokey clear cheese wedges making a point? I tried your suggestion, but it just didn't look right. i made it a little longer, but it still the same shape. C&C appreciated. 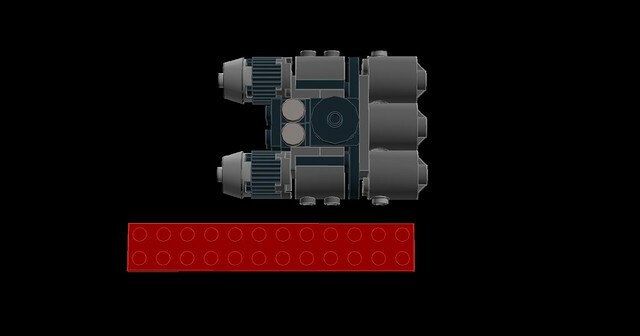 How about adding something along the vertical axis, like a conning tower? Mantisking wrote: How about adding something along the vertical axis, like a conning tower? How does this look? I'm still not sure about it?, It'd frustating because I feel like there's potential for an awesome ship, but I can't seem to finish it. Grass4hopper wrote: How does this look? I'm still not sure about it?, It'd frustating because I feel like there's potential for an awesome ship, but I can't seem to finish it. 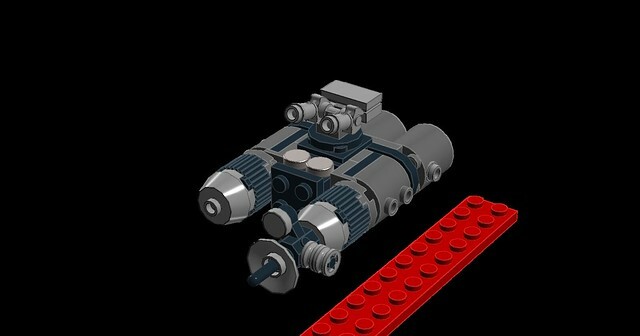 Remove the center engine and the rounded piece under the conning tower. 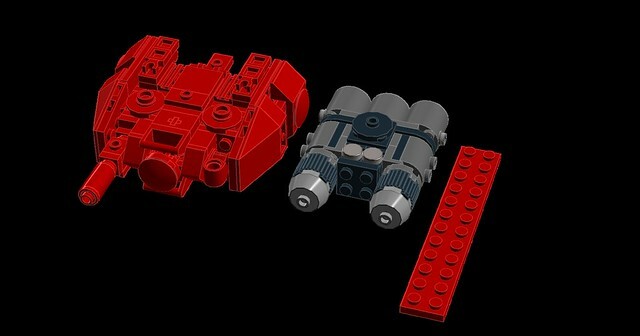 Make the center section out of all square and angular pieces, nothing rounded. 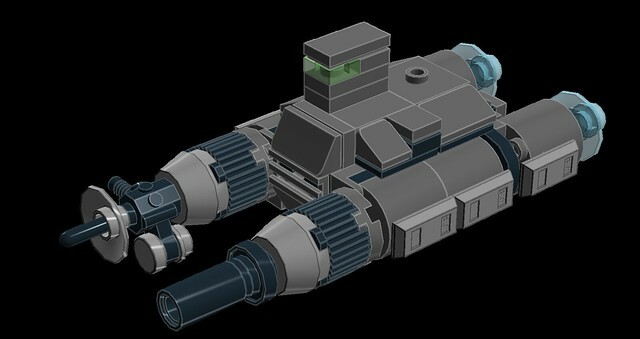 This will keep it distinct from the outside weapon/engine pods. 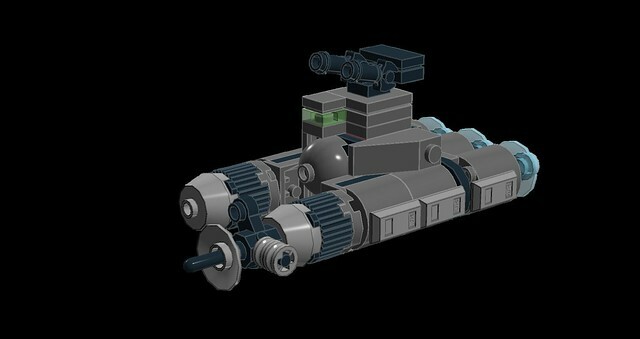 Mantisking wrote: Remove the center engine and the rounded piece under the conning tower. 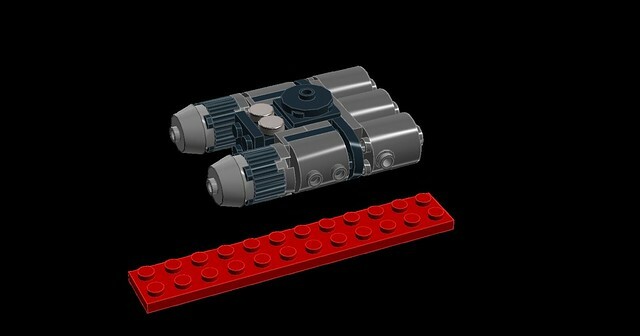 Make the center section out of all square and angular pieces, nothing rounded. 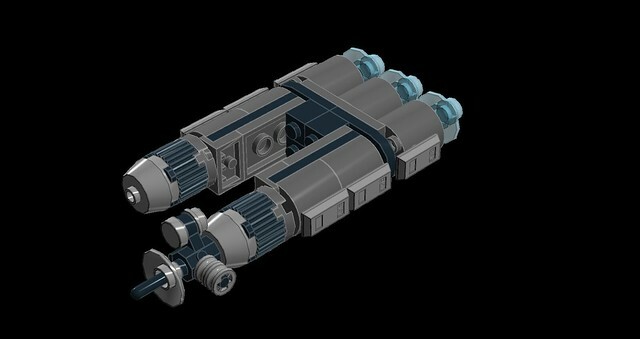 This will keep it distinct from the outside weapon/engine pods. Thanks you all for the advice. 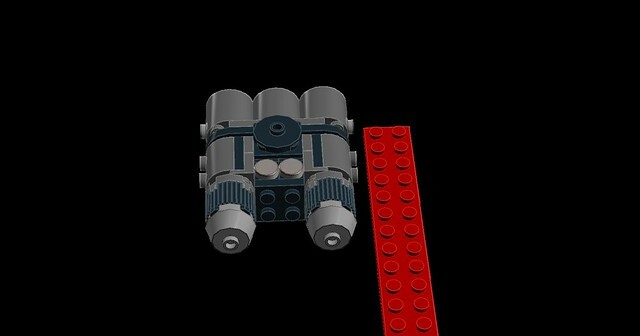 I might make a few minor changes, but I think I have the design down. I tried to attach the LDD file, but it's not letting me. if anyone is interested I can provide a breakdown.